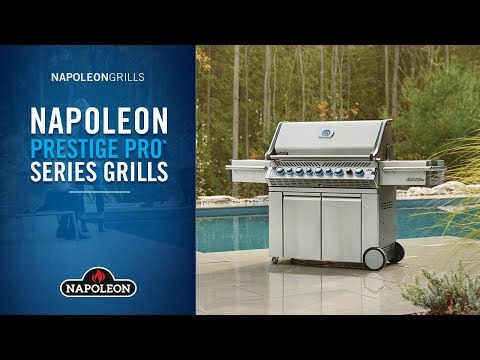 The 2019 Napoleon Prestige PRO 825 combines the power of infrared grilling and the Napoleon stainless steel cooking system in one grill. This built-in natural gas grill has a twin head cooking system for more grilling versatility. 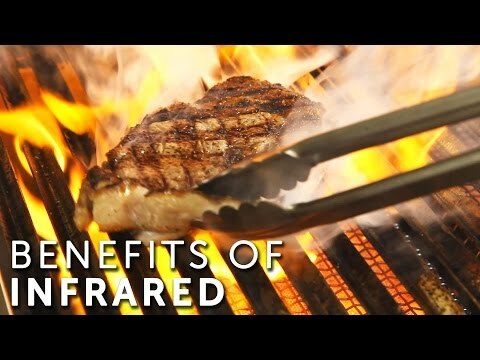 Sear the prefect steak using the infrared burner while you bake a cake on the conventional side. One side has four stainless steel tube burners that provide up to 48,000 BTUs of cooking power while the other side has two ceramic infrared burners that produce 24,000 BTUs, reaching high heat in seconds, and ideal for searing restaurant quality steaks. The two infrared burners have an 8,000 BTU stainless steel tube warming burner between them. The grill has 825 square inches of main cooking area and 420 square inches of warming area for a total of 1245 square inches of cooking area. Easily turn the burners on with a flame thrower ignition for a reliable start up. The stainless steel wave cooking grids create the trademark Napoleon sear lines. The stainless steel, self-cleaning sear plates vaporize drippings, control flare ups and keep your food moist. The Prestige PRO 825 also has a 18,000 BTU stainless steel rear infrared burner for slow cooking with the rotisserie kit. 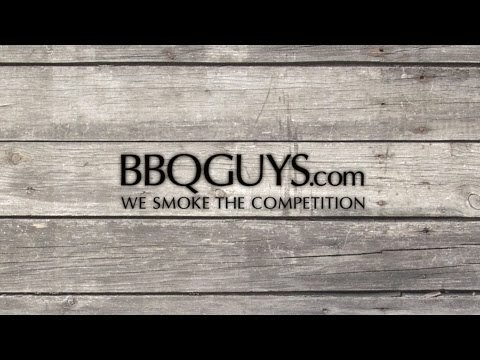 An integrated wood chip smoker tray pulls out for easy filling and has a dedicated 8,000 BTU burner that creates delicious smoke flavor. The hood features an Accu-Probe temperature gauge and retains heat for oven-like performance. The LED Spectrum Night Light control knobs have near limitless color options making your night time entertaining a breeze, and they glow red when a burner is in use while two interior lights illuminate the grilling surface. Clean up is a cinch with the full width removable drip pan. This Napoleon grill is manufactured in Canada. Cooking Grid Dimensions 44 7/8 X 17 3/4"
The Napoleon Prestige Pro is a feature packed gas grill with innovative accessories and integrated functionality. The Prestige Pro series comes with an infrared rear burner, rotisserie, and “sizzle zone” infrared burner. Freestanding Prestige Pro models also include an ice bucket with integrated cutting board. You can also add the optional charcoal tray for even more ways to cook. The grill comes with LED Spectrum Night Light control knobs with color customizable lights. The lights have a safety glow feature that make them glow red when a burner is in use. The Prestige Pro series also has interior grill lighting for night time grilling and lighting in the storage area under the grill. I also really like Napoleon’s doubled lined “lift-ease” lid, which opens easily and helps hold in heat for optimal heat retention. The lid is hinged near the middle and, when open, adds hardly any depth to the back of the grill. This allows for easy placement in a variety of spaces. The Pro 825 has two “sizzle zone” burners in the second grill area, and a two stage power burners on the side shelf. One thing that really sets the Prestige Pro apart is its storage features. The Pro boasts soft close storage doors, built-in shelving in the cabinet, condiment racks, tool hooks, towel bars, and even a bottle opener with cap catcher. 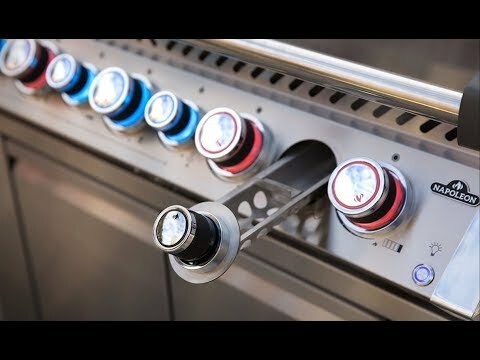 Napoleon Prestige Pro grills have stainless steel tube burners that are lit by a "Jetfire" electronic ignition. The Pro series has stainless steel grates with a patented wave design that creates unique sear marks. 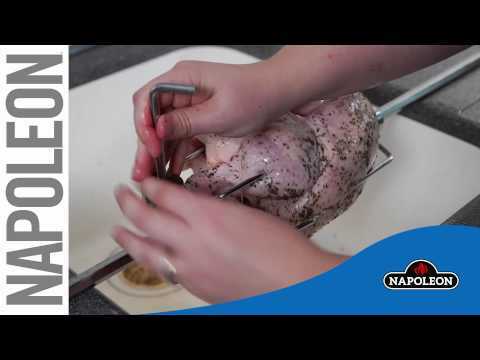 To spread heat evenly, Napoleon has stainless steel sear plates. The plates also protect the burners and help reduce flare-ups. The Prestige Pro grills are also available as built-in models, a perfect fit for any outdoor kitchen. The warranty on the Prestige Pro series is a standout in its class, having a lifetime warranty on the exterior housing, cooking grids, and stainless steel cooking box. Napoleon also boasts a 10 year + 5 warranty on their burners and flame tamers that provides replacement parts at a 50% of normal cost for 5 years after the 10 year warranty expires. While this grill is built tough, and backed by a strong warranty, Napoleon Prestige Pro grills are not "all stainless steel", which is what many customers are shopping for nowadays. Along with the stainless steel components on the grill, you will also find cast aluminum and porcelain enameled steel components too, such as cart legs, back panels, etc. You want a feature packed gas grill, that looks as good as it cooks, is made in North America and backed by a strong warranty from a reputable company. 44 7/8 X 17 3/4" 48 x 20" 45 1/4 X 20 1/2" 45 1/4 X 20 1/2"
52 3/8" 49" 48 1/4" 48 1/4"
20 5/8" 23" 24 1/2" 24 1/2"
8 7/8" 9 1/2" 10" 10"